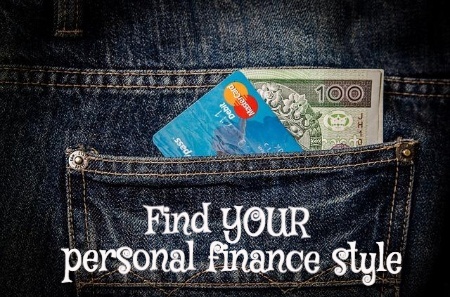 One of the best things you can do for yourself is to find your own personal finance style. We like to say that personal finance is personal — and it truly is. If you want success, you need to learn how to manage your money on your own terms. 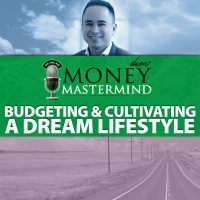 When I first started writing about finances nine years ago (this was one year into my life as an online freelance writer), I read everything I could from money gurus and other experts. At first, I thought that I had to follow every piece of advice I read, or that seemed authoritative. After a couple of years, though, I realized that there are many different financial philosophies out there. I also realized that much of the advice out there is general and some of it might not apply equally to all my life and money stages. While expert advice is a good place to start, it isn’t the be all and end all (and some of it is downright awful). Use gurus, bloggers, and others to gather ideas, but after you have seen some of what’s out there, pick and choose what works for you and tailor your personal finance style to your own life. Part of developing your own personal finance style is knowing your values and priorities. Knowing what matters most to you is a big deal when it comes to your finances. Sit down and take the time to think about what you truly value in life, and what you want your life to look like. Use your values to develop priorities to guide your spending and other money decisions. When you focus on what matters to you, rather than following in others’ footsteps and trying to keep up with their ideals, you can develop your own style — and even avoid debt. Combine your values with what you have heard from financial experts and you’re well on your way toward better finances that fit with your lifestyle. Keep moving forward and consider automating your finances, at least to some degree. You might be surprised at how helpful it can be to automate. Once you know your values and have received some valuable insight, think about how you can make your cash flow move smoothly. Set up an automatic investment plan. Set up automatic bill pay for recurring expenses. Make sure you regularly transfer money from your checking account to a savings account or emergency fund. When you take the time to automate, you can also avoid some of the behavioral finance mistakes that can trip you up over time. Setting your finances on autopilot can help you avoid pitfalls and keep your personal finance style intact. I know that automating has been a big help for me over time. My personal finances run smoothly, and I don’t have to worry about missing bills or remembering to set money aside for travel, investing, retirement and emergencies. Because we change over time, it’s a good idea to tweak your personal finance style as you move forward. Make sure you check-in with yourself on occasion to make sure that your choices and investments fit with where you are right now, and where you want to be in the future. If you have a partner, you need to have these discussions with him or her on a regular basis as well. Make sure that you have shared values and that you are on the same page with your finances. 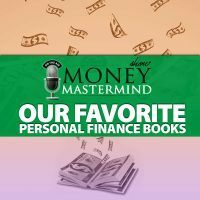 You can mesh your personal finance style with your partner’s, but you need to make sure that you are having the right conversations at the right time in order to make it work. From switching up your asset allocation to figuring out what to do with yourself and your money after you become debt-free, it’s a good idea to frequently check-in and tweak your spending plan and personal finance style as needed. Don’t get bogged down in what everyone else is doing with their money. Instead, step back and evaluate your own life and your own finances. Then, put together a plan that works for you, and that you can use in order to create a personal finance style that will lead to your own financial freedom. 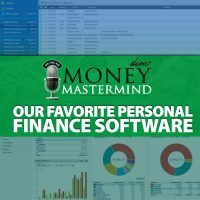 I think automating my finances was the biggest finance style that I uncovered when further exploring my own personal finance style. It really helps me to save when the money I make each month is automatically sent to my different accounts. This is a great list of tips! I love automated finances! That’s one of the ways I manage my own finances according to my style. It works well with my savings goals, as well as making sure my rent and car payments are made. I think mechanizing my funds was the greatest account style that I revealed when further investigating my very own money style. It truly helps me to spare when the cash I make every month is naturally sent to my distinctive records. This is an extraordinary run-down of tips.